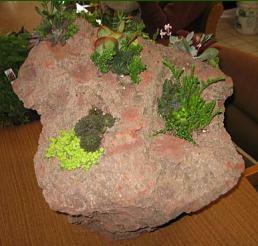 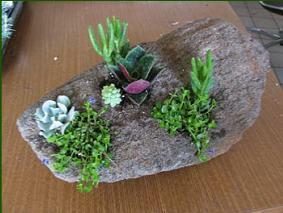 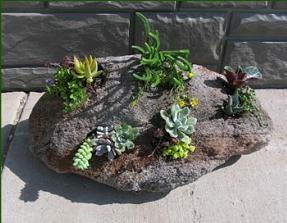 These lightweight volcanic rocks are planted with succulent plants that need little watering. 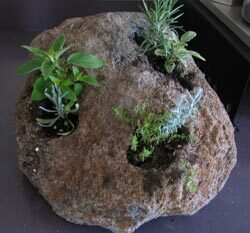 Or choose one planted with herbs for cooking. 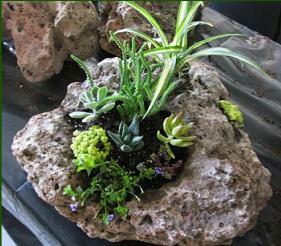 They look great on the patio and are light enough to carry indoors for the winter. 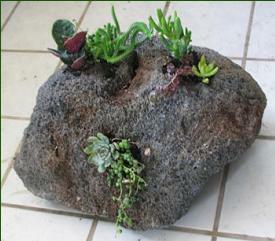 Each one is different and unique! 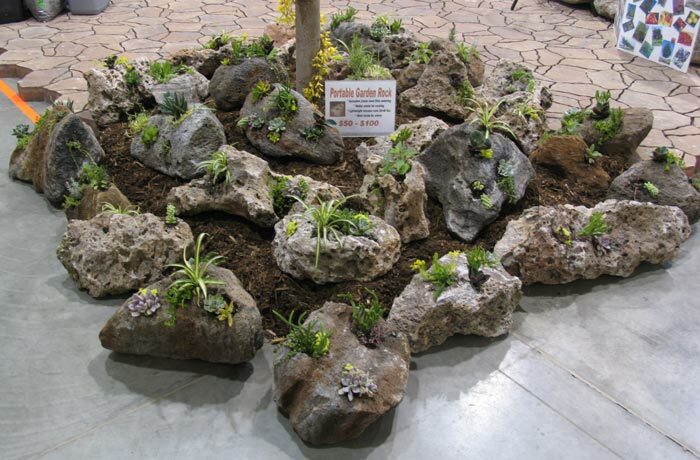 Preheim Lawn & Landscape, Inc.